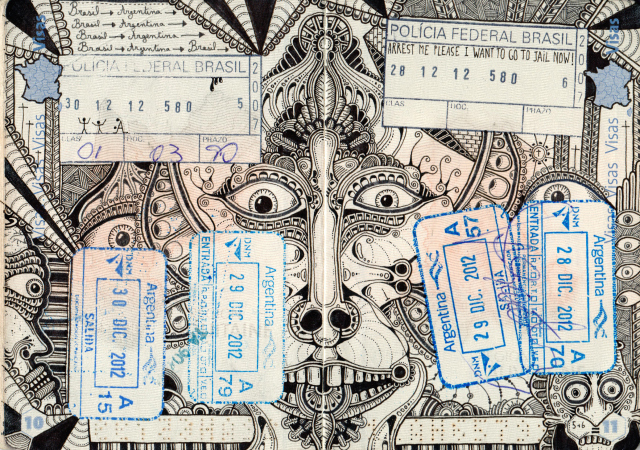 So here’s an idea that’s artistic and mischievous, and probably not something you should try if you’re really intent on going someplace where a passport is required. 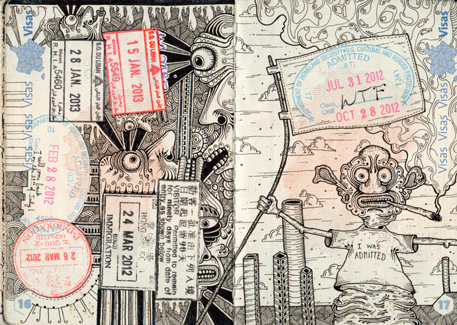 As if all other surfaces in the world were already occupied, French illustrator Léonard Combier turned his considerable talent to inking passports with his brand of intriguingly intricate line drawings — which he calls ‘tattoos.’ Oh, don’t worry, the document stamps and all that pesky official stuff is still visible, but every other spare surface of this document is covered with otherworldly depictions of places no one is ever likely to visit — at least voluntarily. 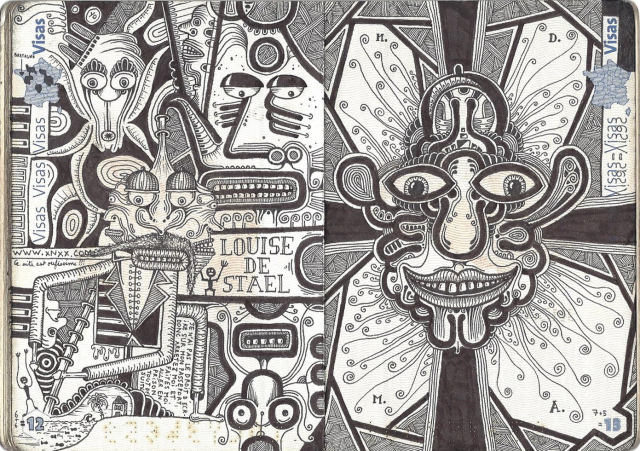 Combier is currently plying this unusual trade via no-doubt kindred souls at Doodlers Anonymous. But no fake or outdated documents need be submitted. 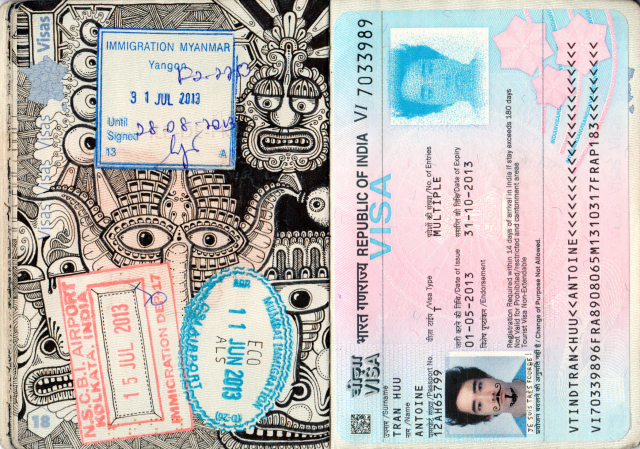 The artist is only interested in drawing on the real thing — your live passport. These private works of art are free for the asking, and no wonder. Marking up your passport can invalidate it, though according to Coumbier, no one has had such a problem yet — that he knows of. Evidently, US Customs, not to mention analogous officials in other countries not known for their sense of humor, have not given such passport holders a problem so far. Some even think it’s part of the official design.